Currently a Ph.D. student in Composition and Computer Technologies at the University of Virginia, Ryan grew up in Wisconsin where he earned his B.A. in Physics and taught mathematics in Milwaukee after graduation. He later moved to the Northeast and completed postgraduate degrees at the New England Conservatory of Music and Dartmouth College in Composition and Digital Musics, respectively. His work connects composition with improvisation, analog with digital, acoustic with electronic, lo-fi with high tech, and poetry with science. On a given day you might find him playing stringed instruments or programming computers, molding materials or building circuits, writing essays or singing songs, & enjoying vegan food and/or the great outdoors. Walter is a class of 2017 student majoring in music. Traditionally active in the arts, Walter is thoroughly involved in the Music Department at UVA. He is currently in his fourth year of membership with the University Singers, During his second and third years he served as the choir's Librarian and is now its President. Beyond this, Walter has also held several positions in the Music Office, most notably that of Promotions Assistant. Beyond graduation, Walter seeks employment in the realm of development for and administration of the arts. Until then, Walter hopes to serve as a graceful and professional representative of the 2016-2017 Music Arts Board. Ben is a third-year cognitive science major from Northern Virginia. Throughout his career at UVA he has been very active in its music department and the surrounding musical community: besides working with the arts board, he serves as Production Chair for UVA’s student-run record label, O Records, and composes in-house for the local Charlottesville businesses HackCville and Suitcase to Briefcase. He released his first full EP through the Larasa project at the beginning of 2016, and continues to publish music featuring elements drawn from a variety of styles and the talents of other Charlottesville-based artists. Marc Jones is a developer and intermedia artist, formerly trained in graphic design having shifted to the intersections of code, audio, video, and illustration as his medium. He enjoys listening to music from a variety of cultures and generations, hoping to one day assemble the ever elusive 'perfect’ DJ set. When he is not bound to some sort of LED-powered screen, he spends what free time he has raising hens and pretending to do yoga. Matthew is a fourth year student double majoring in music and computer science. Hailing from Norfolk, Virginia, he spends most of his time around the music department fiddling with devices that make sound. He loves recording, producing, programming, collecting, and listening to all sorts of music. Matthew currently serves as the music director for the rock department of Charlottesville's WTJU radio station. Aidan O'Keefe is a 4th year New York native majoring in Music and minoring in Entrepreneurship. He loves the outdoors and so was happy to trade a NYC apartment for the Blue Ridge Mountains for 4 years. Aidan is involved in VASST (The Virginia Alpine Ski and Snowboard Team) and the Virginia Climbing team to satiate his adrenaline needs. He enjoys all sorts of music, cold weather, city lights, ceramics, and campfire smells. Marie is a second year history and government double major in the College of Arts and Sciences with plans to attend law school for graduate studies. Although music isn't one of her majors, she has called Old Cabell and the McIntire Department of Music one of her homes on Grounds. With a great love for music and singing, she found her niche in the music department through the University Singers, where she currently serve as the secretary, and the UVA Chamber Singers. When she's not singing, she's either hanging out with her four dogs and thinking about Texas (a.k.a. home) or working on the protection and preservation of LGBTQ rights on Grounds, serving as the VP of Community Engagement for the Queer Student Union and working as the Operations Intern at the LGBTQ Center. Lastly, she is so pumped for 9th Wonder's residency! Elizabeth is a 2nd year in the College of Arts and Sciences, currently planning on majoring in Arts Administration and minoring in Religious Studies. She hails from a small town in NoVa called Waterford, where she enjoys spending lazy days on breaks Netfix-ing with her cat and watching sunsets over the scenic cow pastures down the street from her house. Here at UVa she is a soprano in the University Singers, a small group leader with InterVarsity Christian Fellowship, an elementary school girls' Bible Club leader through Abundant Life Ministries, and a member of the Editorial and Social Media/PR teams for The Fuse Magazine. Other hobbies include jazz dance, reading on the beach, nannying, studio art/DIY projects, musical theater, religiously attending a cappella concerts, and semi-competitive holiday decorating. Sam Roller is a 3rd-year student studying Music and American Studies, with a minor in Religious Studies. Sam plays a range of instruments (mostly strings), but loves to produce electronic music as well. Most of his time is spent watching Netflix, making music, and playing Super Smash Brothers Melee for the Nintendo Gamecube, however Sam also serves as Music Director for the a cappella group The Virginia Gentlemen, is an intern at OpenGrounds on the corner, and is involved in the production team for Corner Indie Fest. Isabella VanKesteren is a 4th year music major at UVA. She is interested in songwriting, production, recording, and visual art. Lucy is a third year at the University of Virginia from Morristown, New Jersey. She is in the McIntire School of Commerce, concentrating in finance and marketing and The College of Arts and Sciences, majoring in Mathematics and minoring in Studio Art. 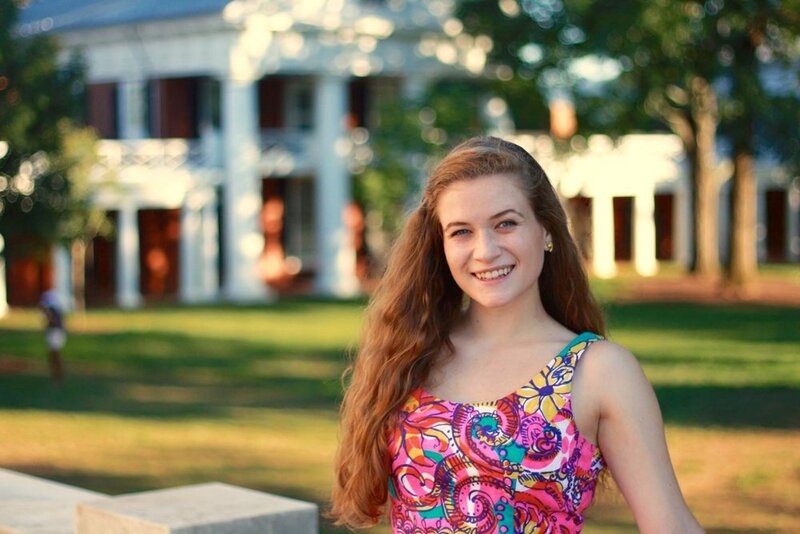 At UVa, Lucy is involved in Smart Woman Securities, Fuego Dance Team, and Flute Ensemble. She studies flute under Kelly Sulick. In her free time, Lucy enjoys going to the gym, running, dancing, rock climbing, and making art. Michelle Streeter is the Assistant Director of Student Activities at the University of Virginia and serves as one of the Arts Board advisors. She has her B.A. in Mathematics from Davidson College and her M.A. in College Student Development from Appalachian State University. Michelle currently lives in Charlottesville, Virginia with her husband and two rescue dogs. In her free time, she enjoys doing calligraphy, practicing yoga, and playing board games.